Sometimes when I'm halfway through a project, I start second guessing choices. Or I see something online and wonder why I didn't do that instead of what we did do. Then, we'll find or do something that just brings a room together and I love everything again. 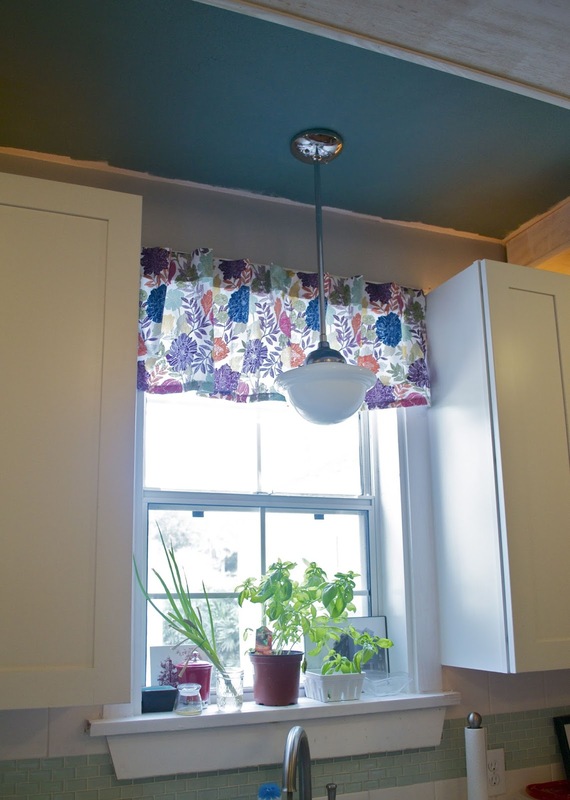 This is what happened in the kitchen with this $11 little valance from Lowes. It pulls in all the colors from the kitchen and lets in a ton of light. Once we put it up, every decision that we were making seemed perfect. It's kinda crazy that a little inexpensive piece of fabric can make all the pricy decision feel right but I love it when it happens. P.S. This is the best pic I could get after a lot of tries. If anybody has any tips for shooting into bright light I'd love to hear them!